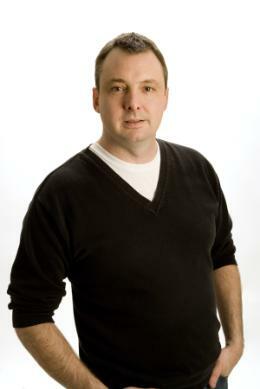 John Lagimodiere is the President/Owner of ACS and a well-respected Saskatchewan entrepreneur. He has been facilitating and hosting Aboriginal awareness seminars for a variety of organizations since 1998. ACS also publishes Eagle Feather News, a Saskatchewan Aboriginal newsmagazine. John’s great, great, great, great grandmother, Marie Anne Lagimodiere, was the first white woman to settle in Western Canada and grandmother to Louis Riel, and therefore, John can trace his Métis family history back to the Red River settlement, the homeland of the Métis Nation. John is a member of the Métis Nation of Saskatchewan, CUMFI Local #165. John has a Sociology degree from University of Saskatchewan with a focus on Aboriginal history and issues. As a business owner and employer of Aboriginal and non-Aboriginal people, John is aware of the challenges faced by both employees and employers in the workplace. John also has experience working in a unionized environment including Co-Chair of the Occupational Health and Safety Committee, and contract negotiator representing 250 employees, is on the Employment Insurance Board of Referees and is on the District Council of Affinity Credit Union. John has facilitated Aboriginal awareness training for clients such as SaskTel, Cameco, Saskatoon Credit Union, PotashCorp, Saskatoon Police Service, Indian and Northern Affairs Canada and the University of Saskatchewan. John is a recipient of the Saskatchewan Centennial Medal and was the recipient in 2006 of the City of Saskatoon Living in Harmony award. ACS was also awarded the ABEX for Aboriginal Business in 2009. Over 10000 people have attended seminars hosted by John Lagimodiere.